Get a reliable amplifier what incorporates absolute adequate sound behavior to make you fell the music. • FM output stage with active controlled out put filter. 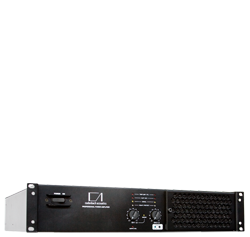 and cadenbach acoustics Pro user three amp rack system.